Some men bring home flowers; my husband brings home books. Please don’t get me wrong. I really do like flowers and the way they look and smell, warming up the house, but my husband knows that I like books even more. He knows how much I love to read and how much I love to be surrounded by books. 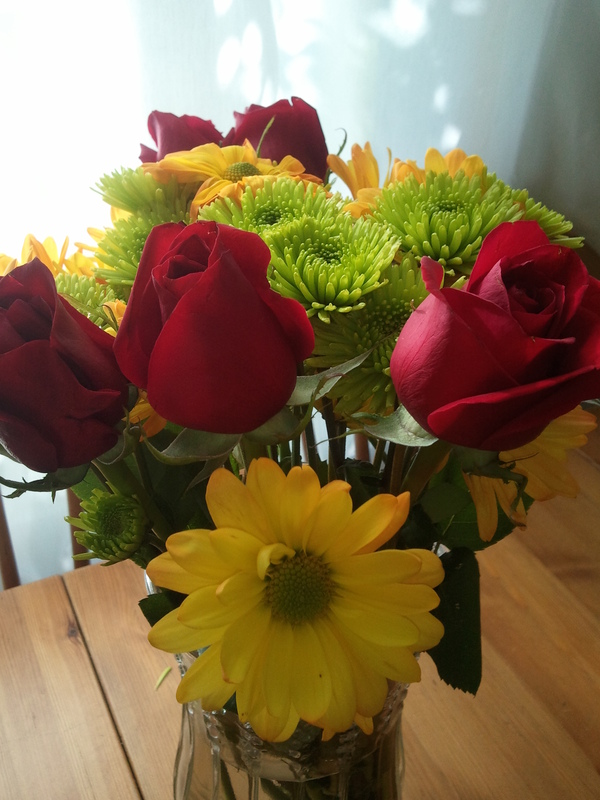 To me, there is no more thoughtful or meaningful bouquet* that he could give than when he comes home with a new book, one that he picked up off of a shelf or ordered online just because he thought I would enjoy reading it. Some recent additions to our growing collection. Before we met, we each had our own collection of books. Now that we are married, so is our book collection. Each time he brings me a new book, or we find one together, the book represents something we are building together, something that started as two separate entities and is now one. Whether hardcover or paperback, a brand-new bestseller or a used bookstore-find, each of those bouquets are all beautiful to me, and they brighten up our home more than any bunch of flowers could. *When we really think about the definition and the origin of the word — how it comes form Old French meaning a “clump of trees” and how it represents something that is to be ceremonial or presented as a gift — isn’t a bouquet, after all, really the perfect way, literally and figuratively, to describe a book? Next > Day 7 of CampNaNoWriMo and Day 2 of Teachers Write!